The Old Testament is an account of a Nation. The New Testament is an account of a MAN. The Nation was founded and nurtured of God to bring the Man into the world. God Himself became a Man, to give mankind a concrete, definite, tangible idea of what kind of Person to think of when we think of God. God is like Jesus. Jesus was God incarnate in human form. His appearance on the earth is the Central Event of all history. The Old Testament sets the stage for it. The New Testament describes it. As a Man, He lived the most strangely Beautiful Life ever known. He was the Kindest, Tenderest, Gentlest, , most Patient, most Sympathetic Man that ever lived. He loved people. He hated to see people in trouble. He loved to Forgive. He loved to Help. He wrought marvelous miracles to feed hungry people. For relieving the suffering He forgot to take food for Himself. Multitudes, weary, pain-ridden, and heart-sick, came to Him, and found healing and relief. It is said of Him, and of no other, that if all the deeds of Kindness that He did were written, the world would not contain the books. That is the kind of man Jesus was. That is the kind of Person God is. Then: He Died, on the Cross, to take away the Sin of the world, to become the Redeemer and Saviour of men. Then: He Rose from the Dead: is Alive Now: not merely an historical character, but a Living Person: the Most Important Fact of History, and Most vital Force in the world today. the whole Bible is builded around this Beautiful Story of Christ, and His promise of Life Eternal to those who Accept Him. 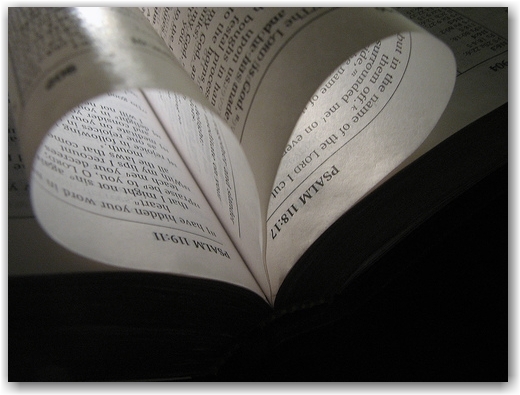 The Bible was written only that men might Believe, and Understand, and Know, and Love, and Follow CHRIST. Christ, the Center and Heart of the Bible, the Center and Heart of History, is the Center and Heart of Our Lives. Our Eternal Destiny is in His hand. Our Acceptance, or Rejection, of Him, determines for each of us, Eternal Glory, or Eternal Ruin; Heaven, or Hell: one, or the other. The Most Important Decision any one is ever called on to make is to Settle, in his heart, once and for all, the matter of his Attitude toward Christ. On that depends Everything. It is a Glorious thing to be a Christian, the Most Exalted privilege of mankind. To accept Christ as Saviour, Lord, and Master, and to strive Sincerely and Devotedly to Follow in the Way of Life which He taught, is, certainly, and by far, the most reasonable, and most satisfactory way to live. It means Peace, Peace of Mind, Contentment of Heart, Forgiveness, Happiness, Hope, Life, Life Here and Now, Life Abundant, LIFE THAT SHALL NEVER END. How can anyone be so blind, or so dumb, as to go through life, and Face Death, without the Christian Hope? Apart from Christ, what is there, what can there be, either for This World, or the Next, to make life worthwhile? We All have to Die. Why try to laugh it off? It seems like Every Human Being would Welcome Christ with Open Arms, and consider it the Proudest Privilege of his life to wear the Christian Name. In the last analysis, the dearest, sweetest thing in life is the consciousness, in the inner depths of our motives, that we live for Christ; and though our efforts be ever so feeble, we toil at our daily tasks, in hope of, in the final roundup, having done something to lay, in humble gratitude and adoration, as an offering at His feet.